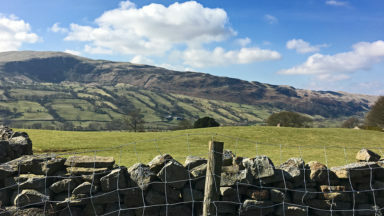 It does not seem 50 years since Peter Bayes installed a recycled works clocking-in machine in the Pen-y-Ghent Café in Horton-in-Ribblesdale and invited walkers to accept the challenge of completing the circuit of Pen-y-Ghent, Whernside and Ingleborough in fewer than 12 hours. 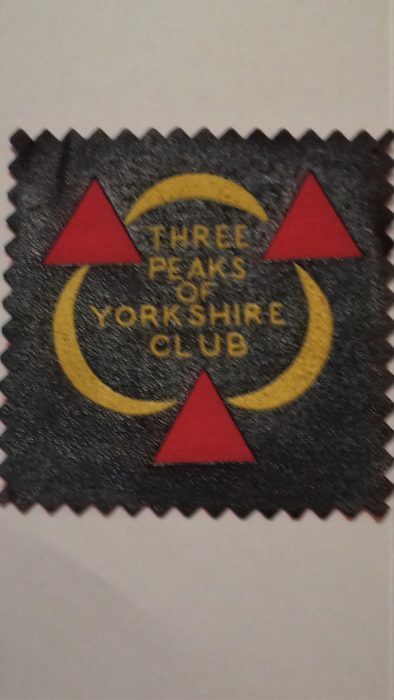 Their prize: membership of the prestigious Three Peaks of Yorkshire Club, ratified by the award of the distinctive badge of honour! In the intervening 50 years so much has changed, but the nature of the challenge has not. Despite changes in route over the years the circuit of the Three Peaks is still a long way; approximately 24 miles with 5200 feet of ascent. From the first recorded completion of the circuit in July 1887, which took 10 hours, to the present fell running record of around 2½ hours, it remains a daunting proposition. 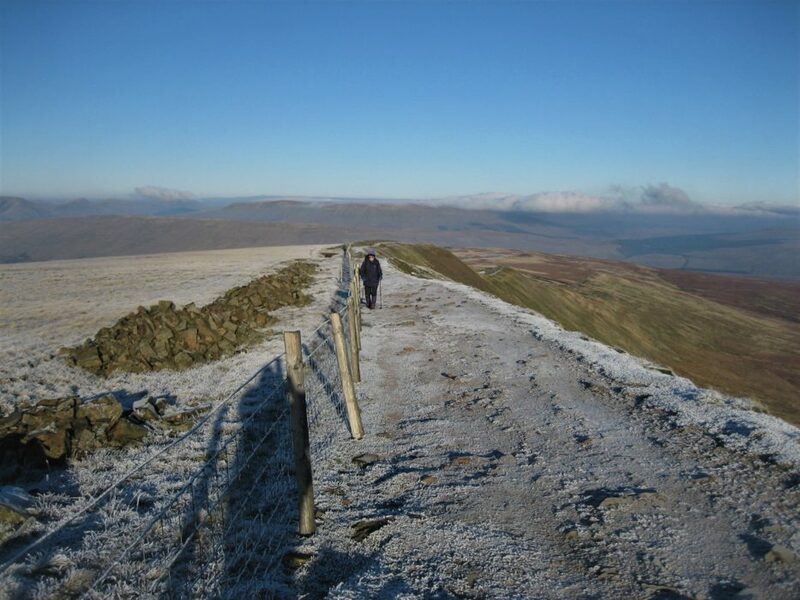 For some, the time taken is a measure to test capabilities; for others, such as the redoubtable Wainwright, the time taken is irrelevant: ‘Some participants have chosen to regard the walk as a race, and this is to be greatly regretted. Walking is a pleasure to be enjoyed in comfort’. The Three Peaks have a continuing allure in that all are subtly different. 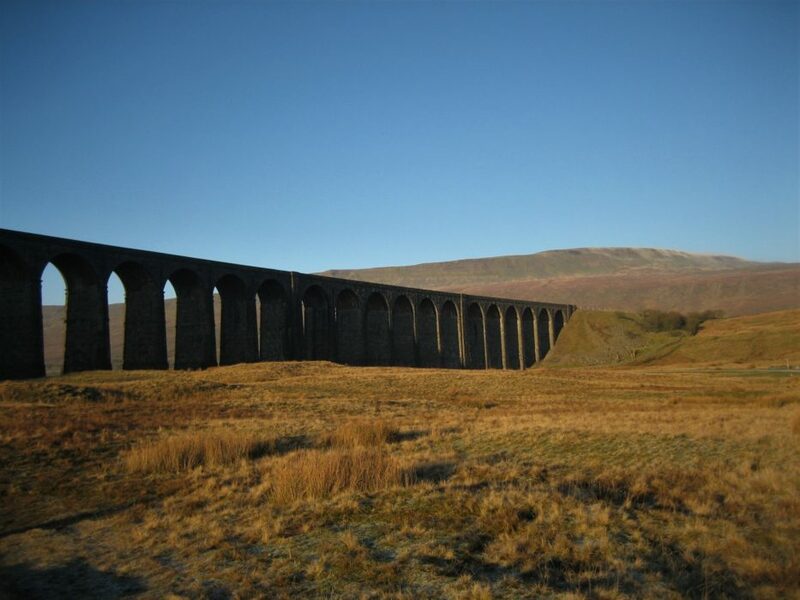 Whernside, the highest at 2415ft (1968 style!) stands as a long whale-backed mound without the same evident benching of its neighbours. 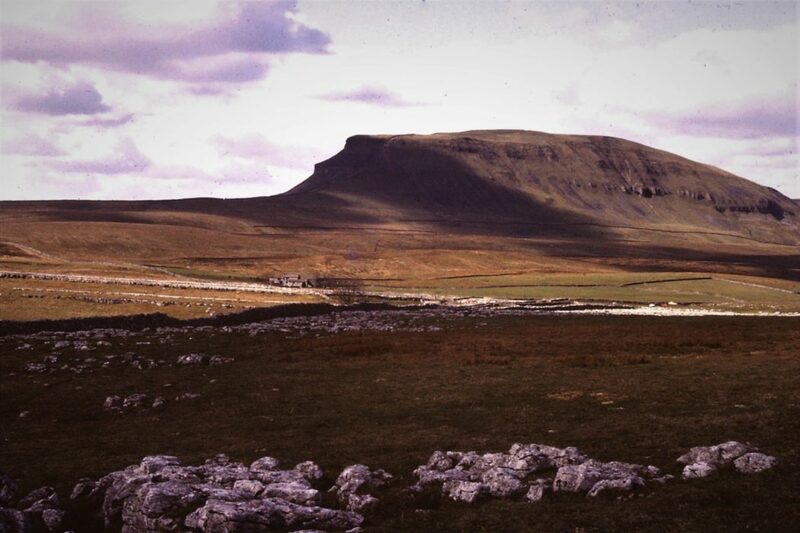 Pen-y-Ghent, the lowest at 2277ft, shows a different face to the walker depending on approach. From Horton, its distinctive scalloped edges, benched crags and creased slopes make it instantly recognisable. 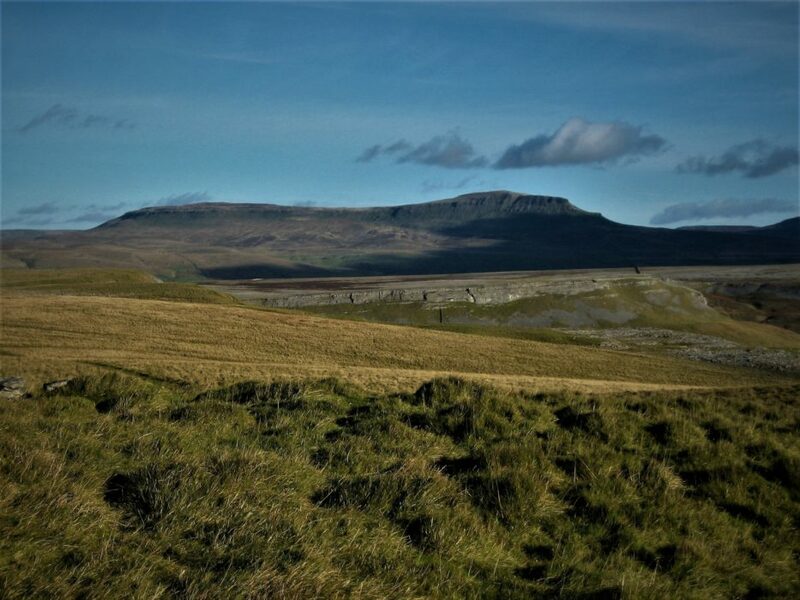 Ingleborough, at 2372ft, is the furthest west and stands proud like an ancient man-of-war, its sandstone and gritstone ramparts facing the westerly winds as if breasting a stormy ocean. 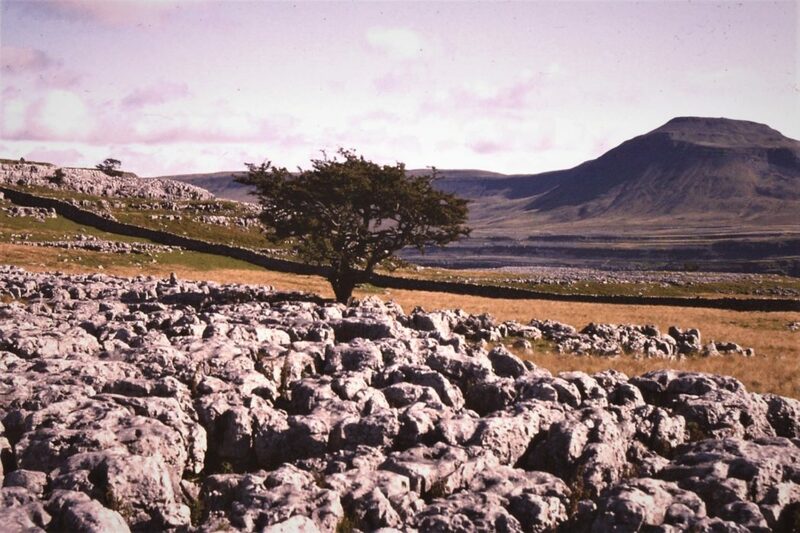 Between them all lies a classic Dales landscape of which a dominant element is the carboniferous limestone, delightful to walk on when it is grassy but an absolute nightmare if traversing bare pavement with its clints and grykes. The shales are not permeable and therefore give rise to sections of glutinous bog. Where the two meet, swallow holes are created as the water is absorbed by the deep limestone beds and miles of underground passages entice the potholers. Less dramatic but equally characteristic are the broad swathes of rolling green, verdant pastoral valleys with their stone walls and isolated barns. 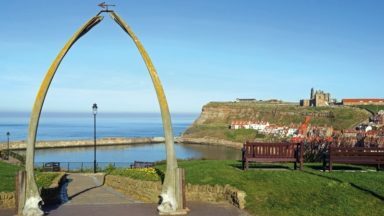 It is one of England’s great natural treasures, particularly as it lies close to some of the north’s great industrial conurbations. This proximity has been both a blessing and a curse. Since 1968, the number of people undertaking the Three Peaks Challenge has escalated to a point where real issues have emerged. Paramount among these has been the sheer wear and tear of thousands of boots each year on an inherently fragile landscape. Erosion of paths has led to a variety of technical remedies, all of which are time-consuming and costly. 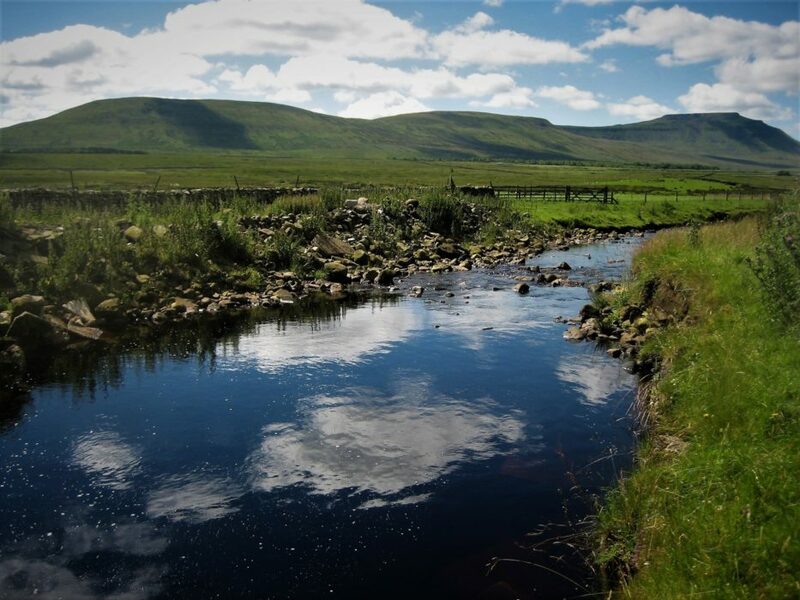 Initially, the route followed farm tracks and well-worn paths, but inevitably the peaty sections suffered most. The path to the top of Whernside from Ribblehead, which used to run directly from Winterscales to the steep stone wall just below the summit ridge, was diverted to the more circuitous but less damaging route that now passes Bleamoor signal box and arcs round via Force Gill and Knoutberry Hill. 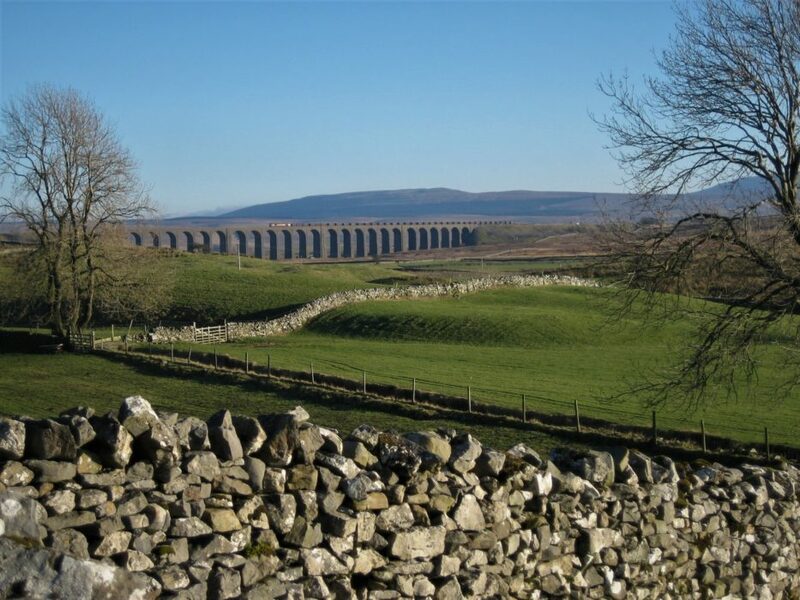 This improved route dates from the mid-1980s when the Yorkshire Dales National Park Authority spent something in the order of £2 million to lay down the new route. Interlocking duck-boards were used when erosion became a serious issue in the 1970s but these rotted, became unstable and were not a permanent solution. Maintenance has become a long-standing problem even with the more durable solution of laying former mill-floor stone slabs over the most susceptible parts of the route. Today, when such authorities are starved of funds, annual repair and maintenance costs at least £20,000. It is something we should all do well to remember. Reason? The sheer weight of numbers! On one summer Saturday last year, we came off Whernside to descend to Blea Moor to witness an endless caterpillar of charity walkers. We counted over 2000 before we reached the railway. To their credit, they were supporting a very worthy charity and some plodded on upwards in an obvious state of distress, determined to finish the round. Multiply this scenario many times over and the measure of the popularity of this iconic round becomes clear, as do the management implications. In 1968, blithe ignorance prevailed. 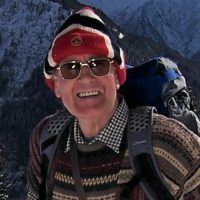 We learned of Peter Bayes’s brilliant idea in an outdoor magazine. 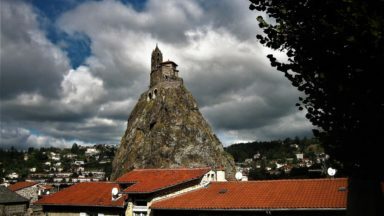 His idea, of course, rested on the assumption that most sensible people would take advantage of the better weather and the longer days and tackle the Three Peaks in summer by day. Filled with the pomp and cockiness of youth (I was 30! ), we decided to do the round overnight in December. Peter could not have been more accommodating. He greeted us at the Pen-y-Ghent Café at 8pm with a scalding mug of tea, clocked us out, wished us well and was there to revive us with another legendary mug of tea when we staggered in at 7am the following morning. A few years ago, Matthew, his son, who had taken over the café, brought out of the back room the tatty old ledger that recorded every party since the inception of the challenge in 1968 and there we were. Nostalgia came flooding back. We have completed the Three Peaks Round almost every year since then, in all weathers, but nothing comes close to the first time those 50 years ago. 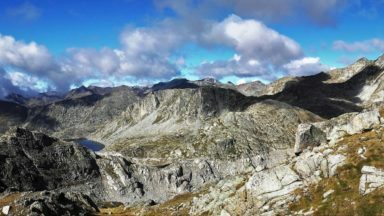 Reminiscence sharpens the focus on the magnitude of the changes that have taken place, not only to the route of the Three Peaks itself but to the nature of outdoor activities, generally. Clothing, equipment, navigation and materials have all undergone huge improvements. Think of a world without Gore-Tex; indeed, think of a world where waterproof cagoules generally were in their infancy. Imagine a world without dehydrated foods or sophisticated composite materials designed to protect and insulate the walker and climber. So, what was it like in the days before many readers were born? On that December night 50 years ago, we set off wearing the standard outdoor gear of the day. This consisted of woollen breeches fastened at the high calf by a strip of Velcro. Thick woollen stockings, often in garish bright red or more sombre dark green or blue, were worn inside sturdy boots. The latter were often hard leather obtained from Army and Navy Stores, brutish to break in and only recently supporting the new-fangled Vibram soles rather than metal studs or tricounis. The concept of layering was not generally understood; we did have Norwegian string vests and underpants, beloved of Rab C Nesbitt for those folks who remember him, and on top wore thick woollen shirts (usually tartan!). Over the shirt a heavy woollen pullover was worn. Headgear was normally an itchy woollen bob cap that doubled as a balaclava. For the hands, non-waterproof woollen mitts were the usual choice. Polyester fibres used in many modern fleeces and Goretex waterproofing fabrics were years away. The outer layers consisted of a duck cloth anorak with a drawstring round the waist. For waterproofing, many in the party resorted to gas-capes (ex-Army and Navy Stores again), which in a strong wind gave a passable impression of Darth Vadar or a swarm of fruit bats. Oilskins were still around, which had the same problems in a high wind. For the better-heeled, thick duck-cloth gaiters were available, as were the new Helly Hansen cagoules in a fluorescent orange that was visible for miles. The problem with the anoraks was that they were usually in a dark-green colour that offered excellent camouflage should an accident befall, rendering mountain rescue that much more difficult. ‘Commando’ rucksacks, again often obtained from ex-services outlets, were nothing like the ergonomically designed rucksacks of today. Their metal frames were outside the main body of the sac and they weighed heavily, even when empty. 16th December 1968 was a mild but drizzly night with the mist level almost down to the valleys. 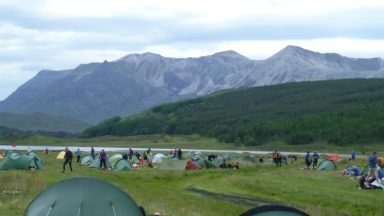 We were a large party of 30, divided into three groups of 10 led by experienced mountaineers and fell-walkers. All had successfully taken the Mountain Leadership Certificate. As in all such ventures, preparing for most foreseeable eventualities is the way to minimise risk, even in the days before health and safety protocols. 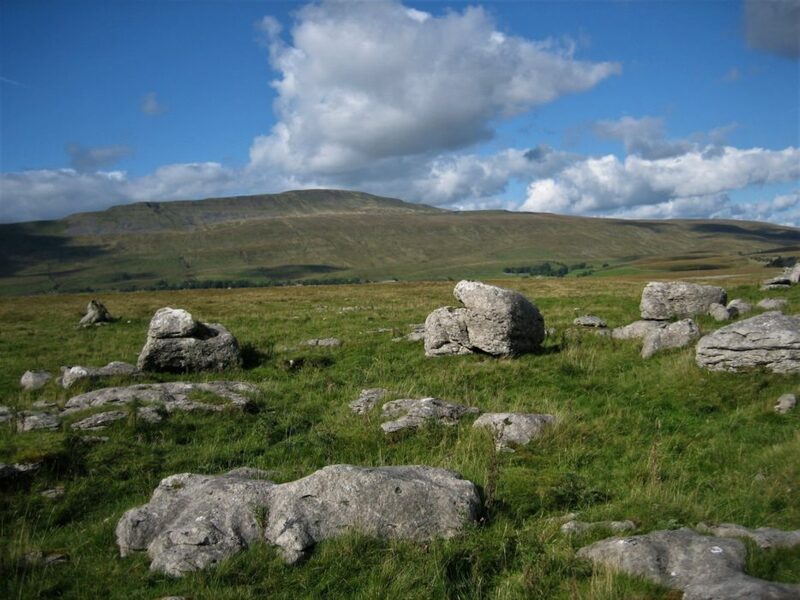 To this end, we had stationed a number of tents, manned by volunteers, at the Hill Inn, at the grassy bench below the stony plateau of Ingleborough and at Ribblehead. 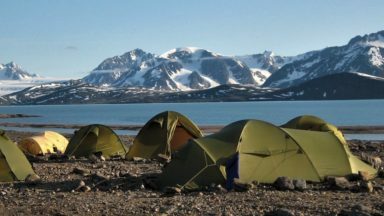 These were state-of-the-art Vango tents with cotton inners and had the luxury of a cotton flysheet. Each weighed about 6kg; they had two vertical poles and a ridge. Today, emergency two-man bivouac tents may weigh little more than 1.5kg. Sleeping bags had moved on from blankets held together with kilt pins to duck down; warm but vulnerable to a good soaking. Heating was via Primus stoves, a combustible mix of methylated spirits and paraffin, but wonderfully efficient if they did not burn down the tent first. They heated water fast in aluminium containers for making tea or for the new-style powdered soups. Dehydrated meals consisted usually of potatoes (remember the classic Smash advert!) or vegetables that had the consistency of seaweed even when hydrated properly, and 'meat' that went with the grand acronym of TVP, or was it PVC? It certainly tasted more like the latter! We learned to navigate in the 1950s and early 1960s using army prismatic compasses and everyone heaved a sigh of relief when these were supplanted by the lighter and much more easily used Silva compasses. (Note no GPS, no mobile phones!) The previous weekend we had been out on a clear day and reconnoitred the route registering bearings and timings in the places where the route in the dark might be confusing. The sense of satisfaction on reaching a stile, which loomed out of the mist at 3am in the morning, almost spot-on, lightened any sense of fatigue. Lights were a problem. In 1968 the idea that one could wear a small and effective light strapped to one’s head was around, but they were clunking affairs with heavy rectangular batteries that gave light only for a couple of hours before they withered and died. On top of Whernside in the wee small hours, the arc of light they gave contributed to a weird sense of hallucination. The basic element of navigation, of course, was the OS map, mainly one inch to one mile (1:63,360), which gave a deceptively foreshortened impression of distance but was an immaculate piece of cartography, something in which the UK still leads the world! Having a map was one thing; reading it was another, but all who grew up in the 1950s and 1960s were taught this at school as an integral part of the curriculum. 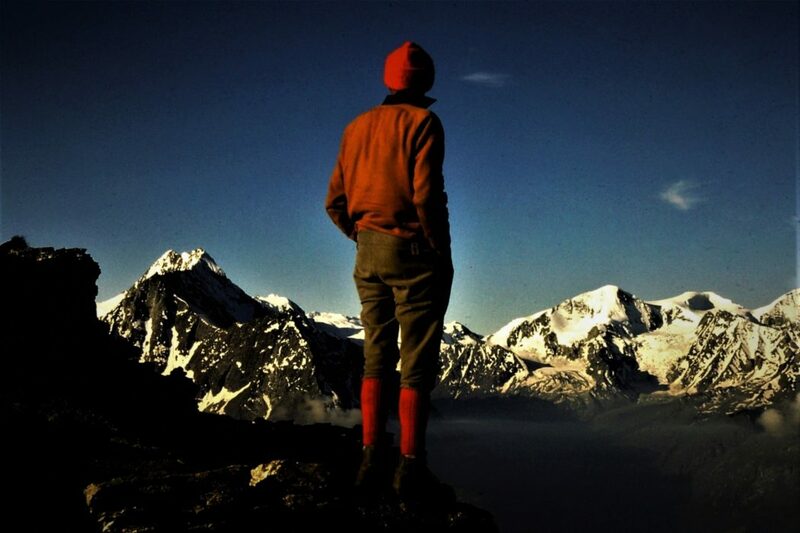 Looking back over the past 50 years, the development of lightweight gear, aided by a revolution on fabrics and equipment design has probably been the most significant change in the world of outdoor activity. High points: unquestionably, the finish! Wet through after a night of constant drizzle and mist, but aglow with relief and satisfaction. The overnight time of 11 hours in dismal conditions seemed an eternity but, on reflection, was highly satisfying. 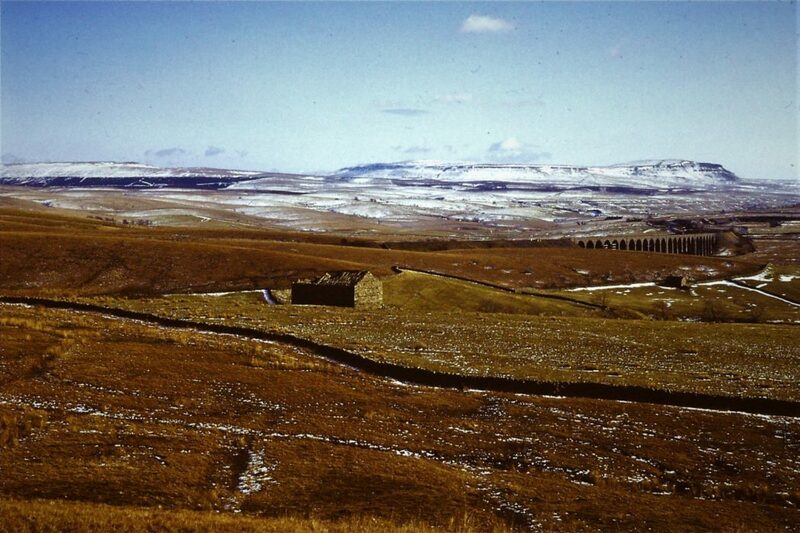 Low points: the crossing of the Ribble valley between Pen-y-Ghent and Ribblehead, nowadays known as the Whitber Route. The Yorkshire Dales National Park Authority has done a wonderful job over the years in signing and regulating permissive footpaths, but in the dark across sodden fields until a stony track was reached at Old Ing, this was a nightmare. It was wonderful to have solid gravel underfoot and more consistent and reliable paths over Whernside and Ingleborough. The sting, as always, was in the tail. 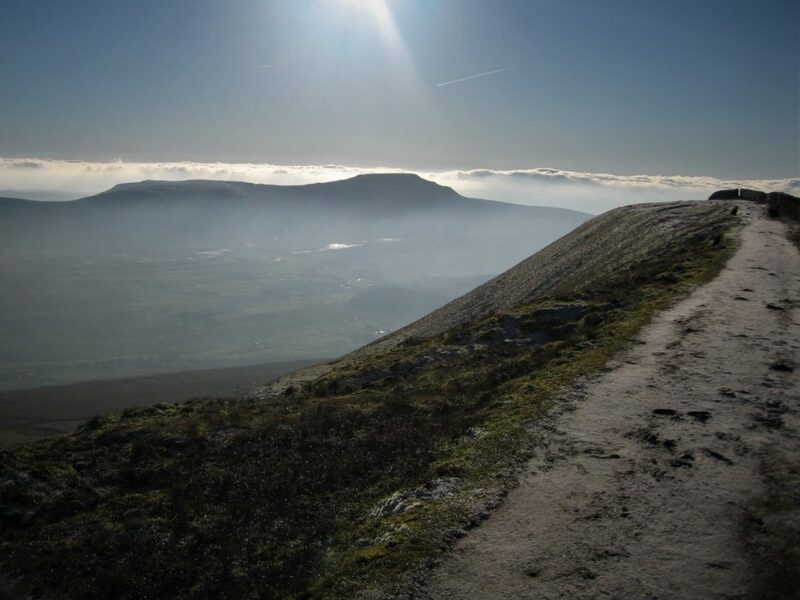 The first section of the route from the Hill Inn was straightforward, even in the dark, but fatigue brought about as much by lack of sleep as by physical exhaustion, made the ascent of Ingleborough a trying affair. Today, the path above the limestone pavement at Souther Scales is across a line of stepped stone slabs and board walks that protect the underling mossy environment. Without such aids, the peaty scar of a path oozed menace. Even as the slope finally steepened towards the col that lies between Ingleborough and Simon Fell, there was little relief. The old path followed the line of a crumbling stone wall and a decaying wire fence to which numbed fingers clung for purchase. In 1968 the use of trekking poles was regarded as a Continental affectation, but then they would have been a godsend. This way to the summit plateau has now been diverted by a series of contoured, winding stone steps that make life infinitely easier after 20-plus miles. The final descent to Horton over a stony and often muddy track, at least as far as Sulber Nick, is always longer than it looks and only the thought of the café at Horton sustains the weary walker. 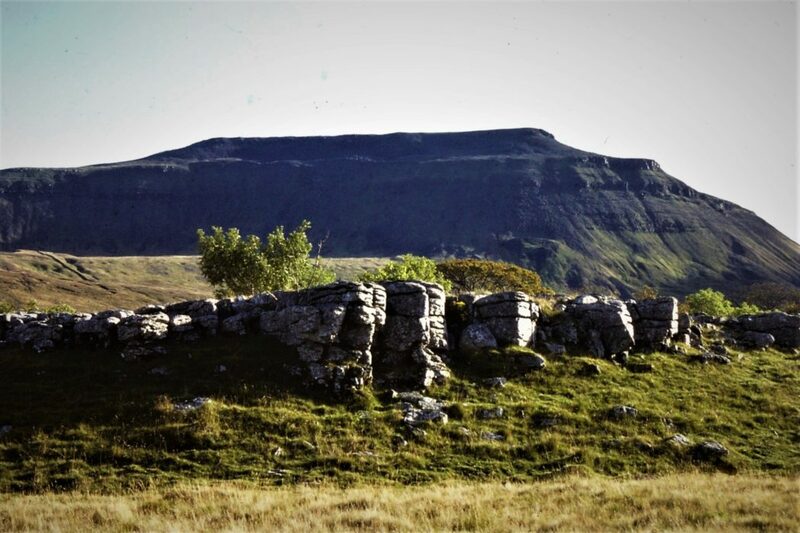 Sadly, even that today has been negated by the temporary closure of the Pen-y-Ghent Café for family reasons. It will be sorely missed, not least for its friendly hospitality as well as its nourishing butties and reviving mugs of tea. 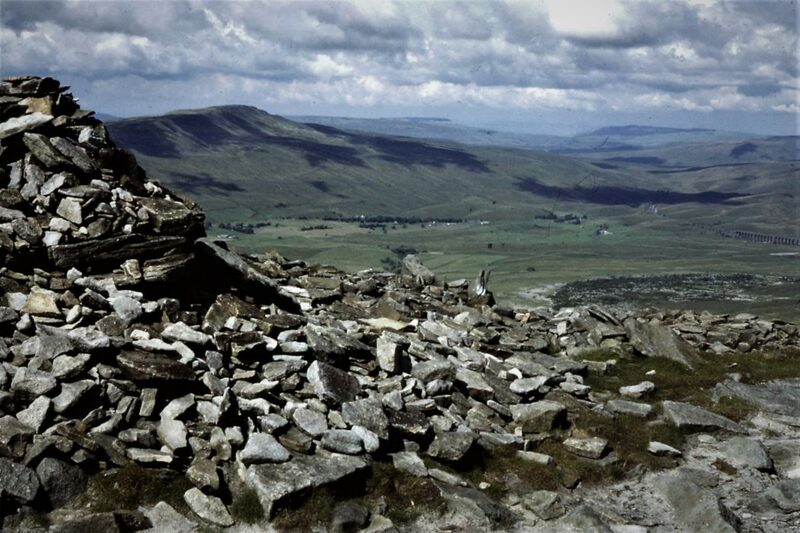 Fifty years on, the Yorkshire Three Peaks circuit remains one of Britain’s finest walks. In many ways it represents the epitome of the North; dour and hardy, but with a generous temperament. Treat it with respect and it yields handsome rewards. With a combined age of 157, my wife and I still count it as one our favourite outings with just one concession to age. With nothing left to prove, we do the walk from Ribblehead slowly, as per Wainwright, savouring the views and the bracing atmosphere. When we get to the top of Pen-y-Ghent at the end of the day, we forego the final traipse back to Ribblehead in favour of catching the last train north out of Horton station. With a pint of shandy awaiting at the Station Inn, life has no greater pleasure. Carpe Diem!